We Britons are well known for being weather obsessive. We also seem to complain bitterly when the weatherman get it wrong. (ie, It rains when the sun should have had its hat on for example!) However, just occasionally, when the forecasters get it wrong, it can go the other way and work in our favour. Sunday was such an example. 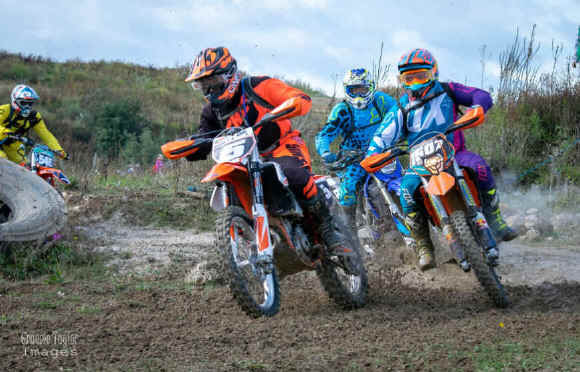 The small handful of riders who stayed away because of the predicted rain will have been kicking themselves as conditions were nigh on perfect for LEC/Gear 4's latest race. 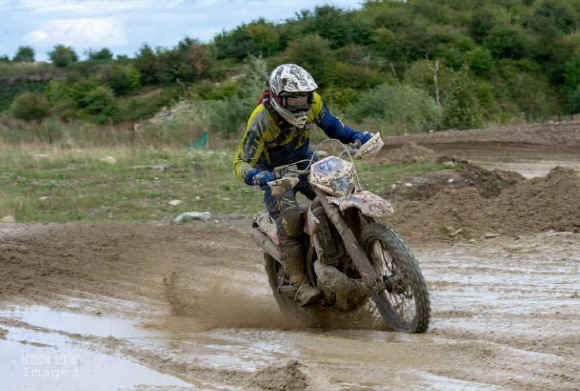 Certainly a lot of moisture fell during the track set-up in the days before the event but post race, riders were saying its one of the best enduro's the club has ever promoted. It was dry all day on race day and with a strong westerly wind, the track dried out perfectly to give conditions that got better and faster throughout the 3 hours. 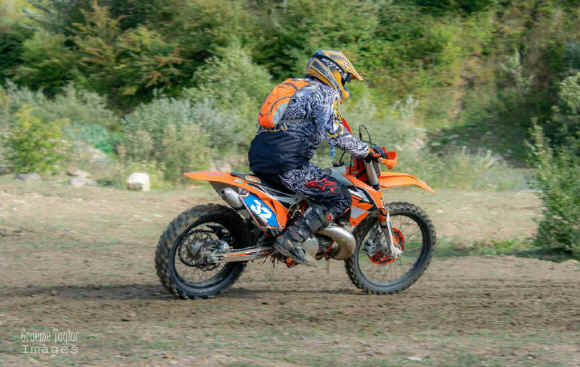 Taking place at the Kork off road centre near Kirton in Lindsey, the 6 mile track was made up once again of some long fast straights, wooded sections, a few gnarly climbs, rocks, the Moto X area and some deep water crossings. Oh, and some gloop too ! Stuart Cryer and Adrian Rickwood seem to be permanently swapping places not only in the races, but with their points tally too. Adrian's win in the over 50's class sees him get his nose in front of 2nd place Stuart, now by just a couple of points. In the Sportsman (4T) class, Sean Thompson was the victor but the runner up (Rikki Harris), has now closed the gap on class leader Carl Gordon to just 4 points. The only dead cert for a title win is Kev Bartle Senior who cannot be caught, in the Trail and Classic class. Photos are off Over 40's class winner Simon Howden (No 75), Paul Redford (No 32), and Joe Tapper (No 5)/Niall Bowker (No 507) battling it out for the lead in the sportsman (4T) class.